so that your genuine faith, which is more valuable than gold that perishes when tested by fire, may result in praise, glory, and honor when Jesus, the Messiah, is revealed. so that the proof of your faith, much more precious than gold that perishes, and though proven by fire, may be found for praise and esteem and for glory at the revealing of Jesus Christ. But these will only test your faith, which is more valuable than gold which, though refined by fire, eventually perishes. 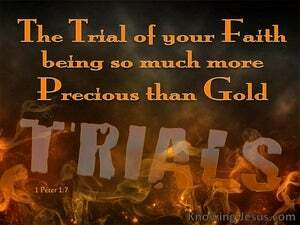 Your faith, [however], will [endure and eventually] prove to be praiseworthy and honorable when Jesus returns. 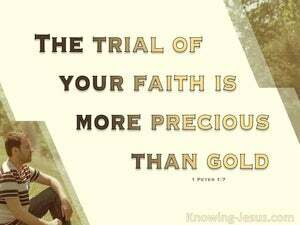 so that the proof of your faith, being more precious than gold which is perishable, even though tested by fire, may be found to result in praise and glory and honor at the revelation of Jesus Christ. they are to show that your faith when tested is found to be more precious than gold, which though it is perishable is tested with fire, and they will bring you praise, glory, and honor when Jesus Christ is revealed. 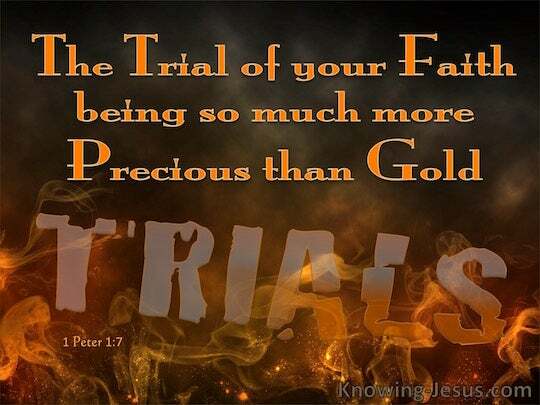 that is only to prove your faith is sterling (far more precious than gold which is perishable and yet is tested by fire), and it redounds to your praise and glory and honour at the revelation of Jesus Christ. 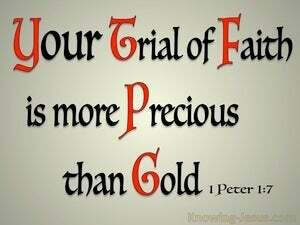 These are in order that the test of your faith, more precious than gold that is perishable and yet is tested by fire, may redound to praise and glory and honor, at the revelation of Jesus Christ. 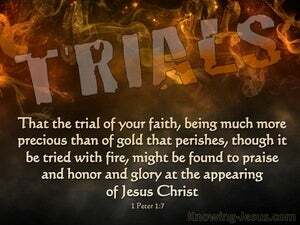 Such trials show the proven character of your faith, which is much more valuable than gold -- gold that is tested by fire, even though it is passing away -- and will bring praise and glory and honor when Jesus Christ is revealed. that the genuineness of your faith, which is more precious than gold that perishes even though it is tested by fire, may be found to result in praise, glory, and honor at the revelation of Jesus Christ? that the genuineness of your faith--a thing far more precious than gold, which is perishable, yet has to be tested by fire--may win praise and glory and honour at the Appearing of Jesus Christ. The sorrow comes in order that the testing of your faith--being more precious than that of gold, which perishes and yet is proved by fire--may be found to result in praise and glory and honour at the re-appearing of Jesus Christ. so that the genuineness of your faith, which is more precious than gold that perishes even after it is shown by the test of fire to be genuine, may result in your praise and glory and honor at the unveiling of Jesus Christ.